“So I will begin at the beginning. I will be as honest as I can. Please keep in mind that this is solely my perspective. Those involved in the unfolding as I present it; may have a completely different take on the same story. I only own my experience and mean no intentional harm to anyone mentioned. It merely “is was it is” as witnessed and how it affected only me. To my sons & daughters my absolute best accomplishment in life. Within this short paragraph I found a plethora of truisms I’ve been ruminating on. 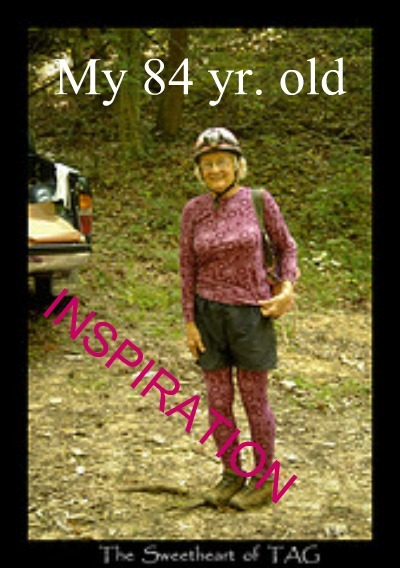 One of the aspirations for my autobiography is to offer insights from my journey to future generations. “If I can have a positive impact on but one life, my words may bear fruit” has been my motivation. Ironically, I didn’t expect that person to be me, even prior to the completion of the book! Honesty is a precious character trait everyone should covet and all desire from others. Yet truth is tricky and left unchecked, lack thereof can literally change the course of your life. Little white lies are commonplace. Embellishing the facts to appear more fluffy or conveniently omitting information is justified with “it’s not really” lying. We are inundated with false advertising, political rhetoric and photo-shopping. We are a doubt-filled society which trusts no one. The most tragic is self-deception. Living to please another, believing erroneous thoughts repeated innumerably by others/ourselves and mass conformity are examples of dishonesty. Denying who we truly are is the biggest lie of all. Documenting my life and reviewing journal entries for my book was eye opening. Familiar patterns surfaced and brutal self-honesty was painfully paramount. I believe that the concept of “you have to love yourself before you love another” is equally accurate regarding honesty. If one can be self-deceptive, then it seeps out and permeates all other relationships. Thus one must be honest first with one self then and only then can genuine relationships develop based on trust. Trust is a fragile quality which is easily crushed and often irreparable. Those closest to us often become our “guinea pigs” within the social lab of character development. As I was growing up certain events and/or responses in my family significantly affected my self concept and directed my memes. Bob Marley’s song “I Can See Clearly” reminds me of the liberation acquired when the self deceptive scales fell from my eyes and I viewed the mirror, warts and all, eventually forgiving and loving myself. Perspective plays an integral part in life. What I believed to be rejection from my parents, for example, was in all actuality the greatest form of love. How interesting is it that 7 people can witness the same event, hear the same words and have 7 different views about it? Those individual perspectives may possibly/probably collide at some point, which is currently unfolding within my Weeble nation. When you have 7 children, each one will have their own “road to hoe” as Roger always says. While all may go through the same experiences, their perspectives; based on age, self concept, personality, significant influences etc. will dictate their current responses. If I found it phenomenal to recognize these concepts in my own life journey; imagine the bittersweetness of witnessing it within my children. While I can offer wisdom, when requested, each is solely responsible for their decisions and each have their own personal discovery timetables. Personal responsibility is the foundation of integrity. It is often a frightening, humbling and sorrow filled process. Take Lance Armstrong for example. All of his allocates were based, supposedly, on deception. First there were his adamant denials of charges against him. Then accusations towards others. Then an admittance, of sorts, in which he justified his behavior as acceptable since others have been/are doing the same thing. Large percentages of folks would rather keep status, riches or power over being their genuine selves or God-forbid admitting deceptions. “Doing the right thing is no longer the norm in this country. Walking the gray line is the common denominator of sheeple people. The fall out of sham living are often relational causalities, financial devastation, shame and regret. We find it easier to point out errors in others neglecting to acknowledge the 3 fingers pointing back at us. It’s as if the webs of deception have become so thick it blinds us from self reality. When I realized I am the creator of my journey….my decisions, my assumptions, my gross errors, my limiting beliefs, and owned my experience; it was like coming through the birth canal. Blinding pain that takes your breath away but ends with a fresh breath and new life. You see, when you seek peace and happiness ,you don’t expect an inner cleansing which reveals its presence within you all along. For example, years ago I had to own my Dad experience. As memories would come up, I’d let them wash over me, I wouldn’t run away or distract them. I’d feel what that little girl was feeling. I’d tell my Dad how I felt. I’d grieve, crying rivers of cleansing tears. Then my adult self would engage and recognize I really was loved; I simply misinterpreted the signs. I realized how those erroneous thoughts about my Father shaped much of my early adult life. I had more understanding of myself. “I made that decision because I believed this” and suddenly it didn’t hurt as much. This was a key to unlock a shackled part of me. No longer did I have to keep a limiting belief. Being honest with myself and owning every aspect was liberating! We have been convinced that “the truth hurts” and yeah buddy, it does but own the pain, receive the peace. Seven beautiful children, experiencing unique journeys yet all entwined. As we travel along our separate ways we remain as one. As we become honest with ourselves life is more genuine and our relationships can deepen based on trust. As we come through this present electrifying storm which shocked us, I just hope they realize that peace and rainbows await on the other side. It’s been a Southern type minute…..
Don’t know about ya’ll; but in my world, when my life is full to the brim with emotion, adventures, challenges or milestones my words often remain in my head. Then, like a pick on a bass guitar string, a life note resonates and my creative itch demands relief. Last week I discovered via social media, an old acquaintance passed into the next world. She was one of those rare souls that significantly impacted who I am today. Only a five hour cave trip with a paragraph of conversation between us; yet it was the epitome of how a brief encounter with another’s’ spirit can change a life. It was March 19th, 2007, Roger and I were with members of our local grotto, South Port Chronic Cavers. I don’t remember the name or location of the cave, but recall it had about a 40 to 50′ cave pit entrance which we rappelled. The median age of that days’ cavers was approximately 35-50 years old. There was Bull, with bags of flashes and battery packs documenting the journey with his camera. He’s even had his work published in the National Speleological Society magazine. Very intelligent, he also identifies formations and always has facts/history of each cave. Brian and Lynn Roebuck and Frank Maynard long time cavers were there. Most of the group have incredible GPS genes and remember minute details and markings. Which is essential when you are directionally challenged like myself. Roger, my boyfriend, is an explorer. Working in high trusses and crawling through pipe as a sheet metal mechanic installing HV/AC for over 20 years, avails him the confidence to push uncharted crevices and scale formidable walls. Back then, I caved for the physical challenge, and discovering phenomenal beauty in the darkest areas. After all, being part of the 3% who have been caving is pretty exciting! There was an older couple there which I found mesmerizingly fascinating. Definitely seniors, both had that telltale bend in their statures as if they were shrinking. Gerald Moni didn’t go into the cave, but rather stayed up top waiting for measurements, descriptions and coordinates to map the survey information. He is a cave mapper I was told. His wife Avis Moni was decked out in hot pink helmet, seat and accessories and wore tight black leggings. She reminded me of a white haired pink version of Spider woman. I was about the third one to rappel into the pit, after a couple of young physically fit dudes. Sitting on the cave floor we were observing those still up top when here came the hot pink monkey. Her approach to the upper lip was smooth and seamless as she hollered, “On rope!” Her descent was flawlessly rapid without a single hesitation. I believe it was the best descent in the entire group that day. I remained enthralled as we began traversing the breakdown within the cave. Sure-footed and spry, Avis often led out and had to keep pausing for the rest of us to catch up. Her level of fitness matched the inspiration of her constant smile and dancing eyes. She joked with us and had such a presence within our midst. Confident, friendly, knowledgeable and happy…so very happy. This little old woman absolutely loved life! Her upbeat and overcoming attitude endeared her to me forever. On our second break in cave, I had the privilege of sitting next to Avis and simply had to inquire. “How long have you been caving Avis”? I asked. “Oh 50 some years,” she replied. “Ha ha!” she chuckled. “I don’t mind at all! Honey, I’m 79,” she proudly stated. “And Gerald, Avis?” I probed. “When I grow up I want to be just like you Avis!” I said, in complete honesty. “How sweet of you to say that honey!” End of conversation. Folks like Avis pump up my fortitude muscles. Their spirit and attitude are human illustrations of finding joy in the journey. Allowing nothing to stop them they adapt and overcome. I am forever grateful to the people who have contributed to the fabric of my soul. Our cave trip ended at the parking area where Avis passed around her famous homemade cookies. I took oatmeal and it was delicious! A couple of years ago, Bull gave me a picture of Avis which I blew up and hung in my fitness room. Turns out Avis Moni was one of the pioneer women to ever rappel into cave. She has been around the world in different caves and lives in TN. She’s been featured in NSS magazine numerous times and was renown in the caving community. She and her dear husband Gerald just happened to be visiting our grotto that day. So humble, I didn’t have a clue she was infamous. Avis, I am sure you are now exploring unbelievable parts of the Universe with a big smile and twinkling eyes. Thank you for becoming part of me without any motive other than being yourself. Avis Arlene Moni Nashville, TN Age 86, passed away July 8, 2014. An active member in The Nashville Grotto of the National Speleological Society. Survived by husband, Gerald Moni; daughters, Janet and Julie Lamson. Avis had an infectious smile, an indelible spirit, and one incredible recipe for cookies and always willing to share. The world was a better place with her around and she will be missed. Condolences to all her family especially Gerald, hang in there guys. You are in my thoughts and prayers. God bless you all. I spent time with Avis and Gerald in Blue Spring Cave on a day she was tired and I helped her out. This endeared me to her, and she knitted me the best ‘boggan cap in all of TAG. she also was the second person into Pete’s Plunge, right behind me in the initial exploration, 96ft deep in 2011! A role model for all who met her; the epitome of grace and delight, a reminder we should all be tough and sweet in all our endeavours..